Free nature vectors stock footage pack. 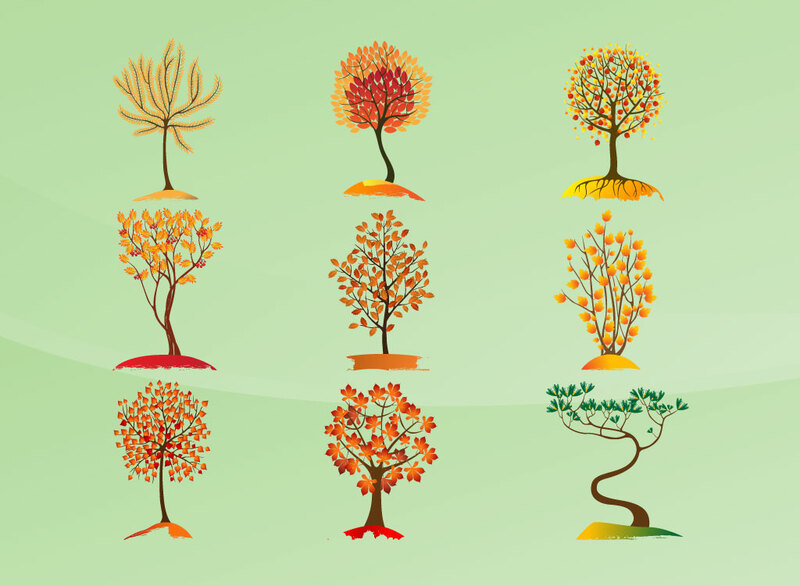 Nine different stylized trees come in this free vector set download. Graphics are set on a mint green background with glossy gradient. There's a good variety of tree types, most in Autumn colors. Copy and paste into seasonal designs and changed to any size you need without loss of quality. Tags: Autumn, Blossoms, Fall, Leaf, Leaf Vector, Leaves, Nature, Tree Vectors.